Special offer for best prices! 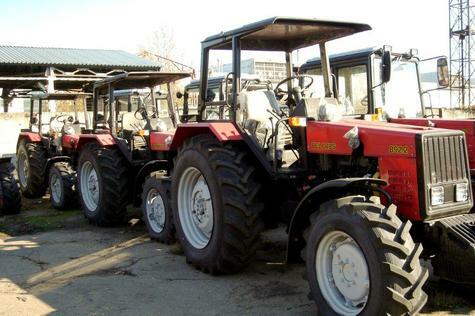 The universal wheeled tractor BELARUS 892.2 falls into drawbar category 1, 4 and is intended for wide range of agricultural works from tilling to harvesting and transport operations; it can be used in forestry, for communal services, in building and industry. BELARUS-892 is a 4x4WD tractor powered by a 60 kW (87 h.p.) diesel engine. Speed-increasing gear box (overdrive gear) provides 18 forward gears and 4 reverse gears. On request of consumers can be mounted standard reducing gear. Full factory warranty. With full serial numbers. New production. Bureau Veritas inspection. Let us know if you are interested and we will provide you with more details.